I love my back porch. It's concrete, covered with a terrible fake grass outdoor carpeting that catches every single bit of leaf matter, fuzz, seed, etc. Even so, I love that we can step out of the kitchen and get a bit of fresh air, then end up watering the flowers, sweeping, digging, arranging toy animals, or making nests of books. My daughter has come to neeeed a big stack of books tucked around her in order to fully sink into the reading experience. One afternoon while playing on the back porch, we discovered this cocoon-like structure on a plastic bison (above). Neglecting to clean up one's toys clearly has its sculptural advantages. That goes for me, too, since this dust-drawing/relief sculpture (lower left) is a result of leaving string beans out to dry, perhaps a little longer than necessary. 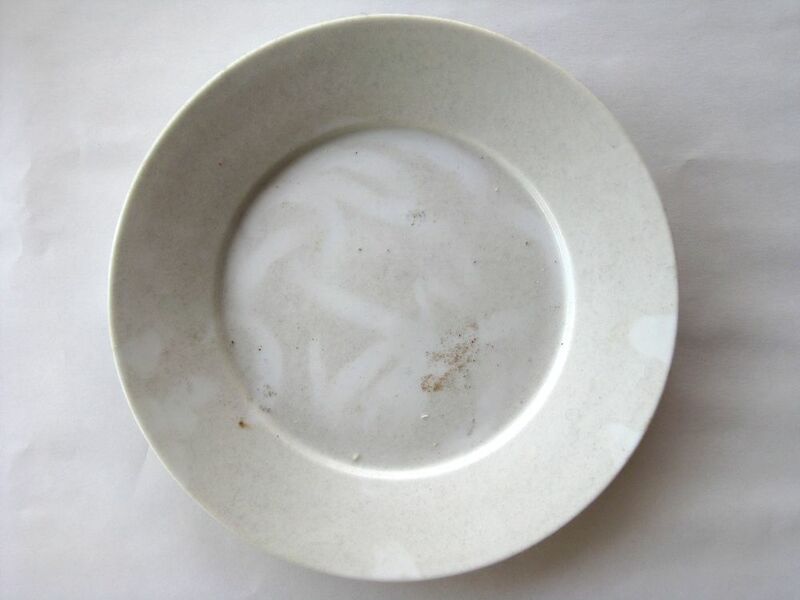 Using up leftovers and working with what is in front of me, comes both out of necessity and genuine interest in the incidental find as a philosophical approach to living and making things. 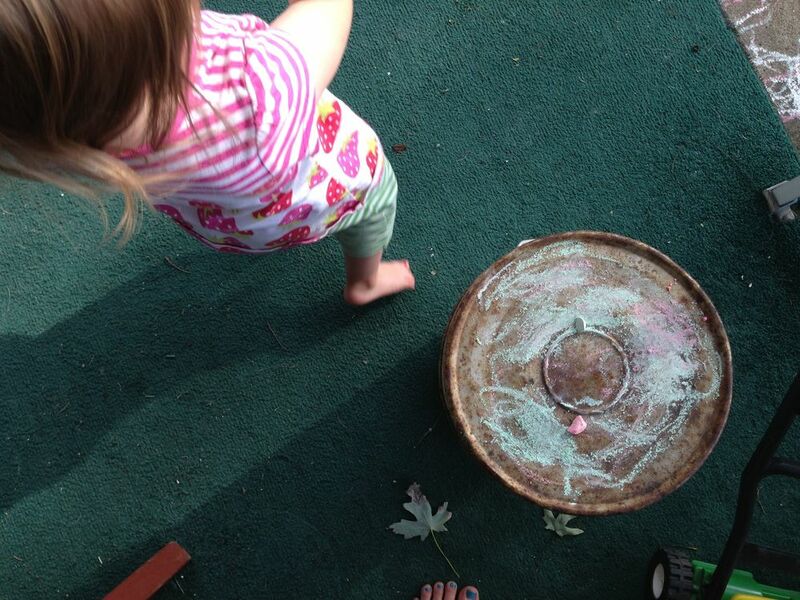 Toddlers are inspiring in this sense -- my daughter had left two small bits of sidewalk chalk on an old milk can (that we use as a footrest) on the back porch, and so one morning, decided to draw right on the milk can. She looked at me for a moment before starting to draw, stating with questioning inflection, "I can do this?"